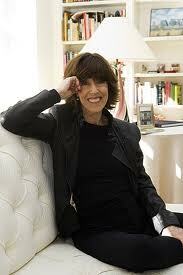 Nora Ephron died this week at age seventy-one. For those unfamiliar with her work, Ephron was an American writer, director, scenarist, and comic essayist, best known for her work on the romantic comedies When Harry Met Sally and Sleepless in Seattle and for her essay I Feel Bad About My Neck. What I most admired about Ephron was that she could take serious subjects such as aging and dying and put a comical spin on them. I also love the fact that in her last book, I Remember Nothing, Paris makes the top ten list of things she would most miss in life. One profound statement from Ephron concerned having one’s last meal. True to form as a food lover and humorist, she didn’t look at it in a depressing way, but as having as much of food you love right now and not waiting till the end of life. As she put it in a 2010 interview with Charlie Rose, "When you are actually going to have your last meal, you'll either be too sick to have it or you aren't gonna know it's your last meal and you could squander it on something like a tuna melt and that would be ironic. So it's important ... I feel it's important to have that last meal today, tomorrow, soon." So in this spirit of Carpe Diem, I thought I would muse on food and drinks I intend to have more of while I can still enjoy them. Champagne immediately comes to mind! Not just any bubbly, either, mind you—the good stuff. We have found that brut champagne is often so dry it evaporates from the palate before you can really savor it. My two favorite sparkling wines, it will surprise no one who knows me, come from France. 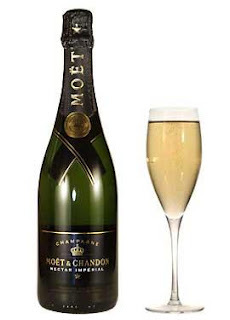 A long time preference Perrier-Jouet has been in recent years supplanted by Moët & Chandon’s delightful Nectar Impérial. This beautifully golden concoction has a slight hint of apricots and honey. 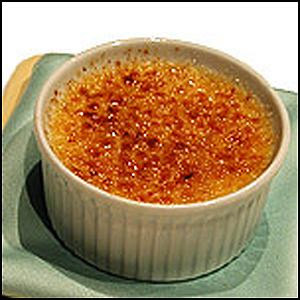 It would be delicious served with a spicy Cajun shrimp, a nice crusted, grilled tuna steak, pan-fried scallops with a hint of lemon, or even a crabmeat roll—a few of my preferred seafood dishes. 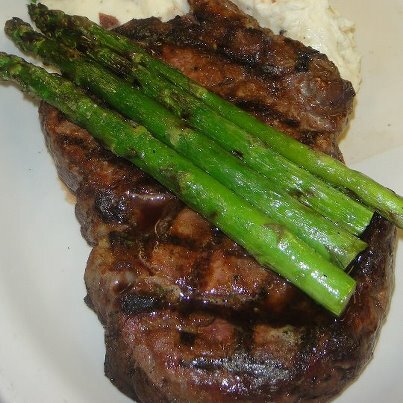 Being a southern girl, I am a meat lover, specifically beef. Although it’s not something I’d have every day because of health implications, as a pleasant final meal, a nice rib eye steak cooked over charcoal would probably make the cut. Or a lovely standing rib roast, I can’t quite decide between the two. Alongside either, I’d choose to have garlic mashed potatoes, a spinach or Greek salad, and fresh, grilled asparagus. Can’t forget the wine here either: a Pinot Noir from Bourgogne preferably if price is of no concern, but a good one from Oregon or California would do in a pinch. Buttery, garlicky escargots would be a delight as well with a red Burgundy. Not to mention an array of French cheeses—above all a nice chèvre—with a fresh baguette. Finally, we come to dessert. The French win again in this category. I’d have to choose among several possible recipes: a velvety chocolate pot de crème, a creamy crème brûlée, or if cherries are in season, the simple, but appetizing Cherry Clafoutis. There’s another dessert toward the end of the cookbook Jacques and Julia Cooking at Home which is a flaky, free-form fruit galette which would also be a quite tasty option. And if I’m so inclined, I might top off the dessert course with a small glass of sweet, but not too syrupy port. There you have it: a somewhat hastily drawn, but fairly accurate list of foods that I intend to continue to enjoy. Having no real talent for growing plants of any kind and no real artistic eye, gardening is probably one of the last topics I ever thought I’d be writing about. 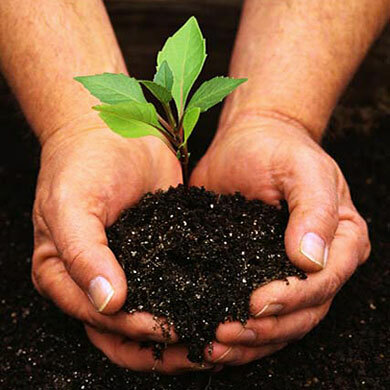 But I have come to realize that the heralded green thumb does not really play a part in gardening; like most successful endeavors, this pastime consists of a lot of hard work. Likewise, there’s no need to strive to create a perfect garden. I once read that, as a backyard gardener, I should just concentrate on pleasing myself and that’s exactly what I do. Much trial and error is involved in getting to know your type of soil, the location of your plot in relation to the sun, and the types of plants most likely to flourish there. Although I believe in getting exercise every day, I’m not one for hitting the gym, especially in the warm weather months. Gardening, with all of its weeding, digging, tilling, lugging bags of supplies, and spreading of mulch, proves to be quite a workout. 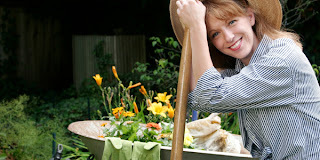 In fact, you can burn over 100 calories in only a half-hour of work in the garden. The lifting, bending, pulling, and throwing work nearly every part of the body. Sure you get an occasional bruise, scratch, mosquito bite, or sore muscle, yet overall it’s a harmless hobby which brings much satisfaction. Getting your hands dirty doing manual work feels very good and it's lovely sitting back, taking a break, listening to the birds, and watching butterflies. It is also quite gratifying to see the work you’ve done clearing the beds and particularly from seeing your plantings thrive. 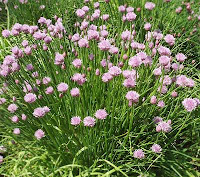 Certain plants, like hostas and the low-spreader known as snow-on-the-mountain, are easy to grow; the same is true for herbs such as chives (which have beautiful, large lavender blossoms in the spring) and mint. The warning you always hear about mint having the ability to take over the garden is true, however, so it's preferable to plant it in a clay pot. I also have containers with basil, rosemary, thyme, and parsley on the deck—with easy access to the kitchen. 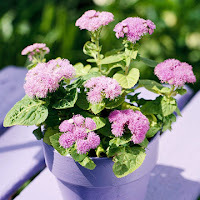 My focus is primarily on growing flowers; this year my list of annuals and perennials includes wonderful Sonic Magic pink New Guinea impatiens, blue trailing bellflowers, yellow, orange, and red lilies, pink and purple petunias, and puffy blue aegeratum. Next year I might even try my hand at vegetable gardening, following First Lady Michelle Obama's example on the White House lawn. Or, who knows, maybe I'll start with a few containers of tomatoes this summer.